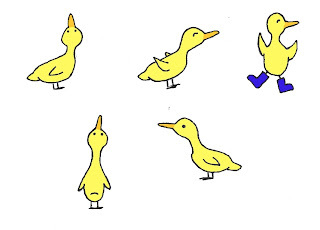 After my initial sketch of Duck, I decided to see if I could draw this little guy in a few different poses. 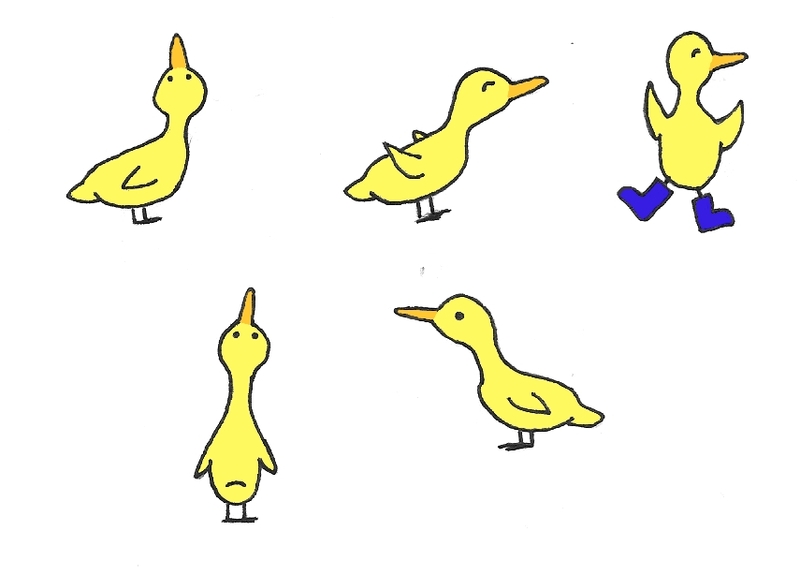 The redundant rain boots (wellies!) were Stella's idea for London and I think very darling. 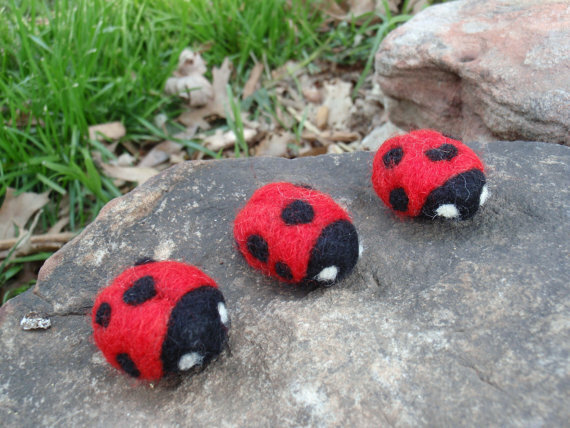 And to end this post with another dose of cuteness: my friend from college, Dani, makes goodies to sell on Etsy.com and she recently posted some adorable lady bugs that she made out of felted wool. Aren't they cute? You can check out her shop, too!